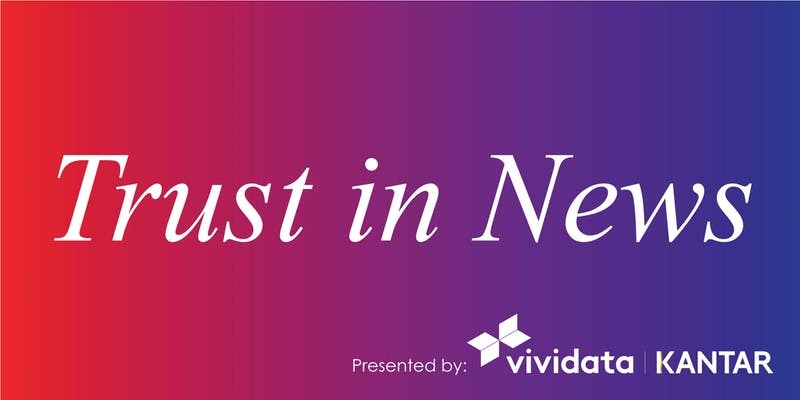 Vividata and Kantar launched their “Trust in News” study at an industry event in Toronto on July 18. “Trust in News” explores how Canadians feel about news and quality journalism in the era of “fake news,” and what drives their trust in news sources and channels. 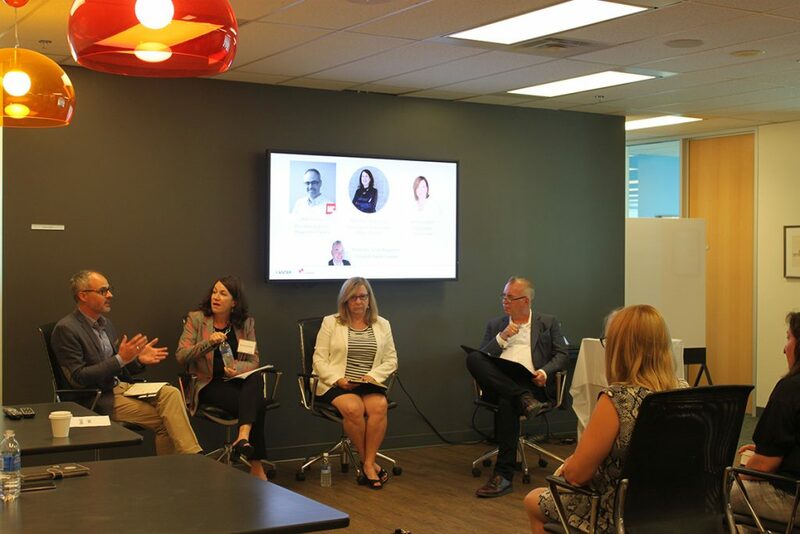 At the “Trust in News” launch event, Magazines Canada CEO Matthew Holmes took part in a panel discussion with Kathy English, Public Editor at the Toronto Star, and Mary Beth Williamson, Chief Marketing Officer of Fleurish Cannabis. The discussion was moderated by Scott Megginson, President of Kantar Canada, and focused on content and marketing in the context of trust—how does one establish and maintain trust with one’s audience, and how does that trust impact conversations with advertisers. Six out of 10 believe “fake news” means a mainstream news organisation has deliberately fabricated news. 43% believe it is a story put out by someone pretending to be a news organization. 42% also believe it implies a story is factually incorrect (possibly by mistake). Eight out of 10 Canadians believe the health of Canada’s democracy depends on journalists reporting the facts accurately. Half of the adult population feels that people choosing to access their news from more credible news sources is an effective way to tackle fake news. This trust extends to traditional news media content on digital platforms. For magazines, 68% of their audience rates print magazines high on trust and 63% rates magazine websites or apps high on trust, as compared to just 32% who do so for digital-only news outlets and 19% for social media. For providing in-depth commentary and analysis, audiences rate print magazines just below national daily newspapers and radio at 68%, and magazine websites and apps at 63%— above newspaper websites or apps, TV, digital-only news outlets and social media. Similarly, for challenging the reader’s views and opinions, audiences rate print magazines and magazine websites and apps at 54% and 50% respectively, just below national daily newspapers and radio, and above TV, newspaper websites or apps, digital-only news outlets and social media. “Trust in News” shows that high levels of audience trust and publishing in-depth content is also beneficial for advertisers. Among those who trust print magazines as a news source, 42% say that advertising in print magazines influences their purchase decision of a product or service advertised in a print magazine, and 62% that advertising in print magazines keeps them up to date about products and services. After seeing an advertisement in a print magazine, 29% of readers searched online for the product, brand or service, and 14% made a purchase. Vividata provides essential consumer intelligence to a wide range of companies including media agencies, media companies and advertisers in Canada and around the world. Offering the largest syndicated study in Canada, Vividata is the go to source for demographics, attitudes, life events, media, purchasing and brand preferences. Visit vividata.ca. Kantar is one of the world’s leading data, insight and consultancy companies. Working together across the whole spectrum of research and consulting disciplines, its specialist brands, including Kantar Millward Brown and Kantar TNS, provide inspirational insights and business strategies for clients in 100 countries including Canada. Visit kantar.com.